Goldenlight: 20 Things I’ve learned in the last year since I’ve awoken to the truth…For the Newly Awakened. by Goldenlight, www.thegoldenlightchannel.com. © The Golden Light Channel. Please include this copyright and credit, original title, and a link to the source message when re-posting this message. 2. The income tax charged to citizens pays for the interest on the money these bankers lend to our “government”. 4. There is a global elite comprised of nations, central banks and “governments” which are private corporations all tied in with the vatican, the largest and most powerful of all wealth entities. “All roads lead to Rome”. 5. The goal of the global elite is depopulation and world slavery for the 99%. 6. Multinational corporations, large food conglomerates, mainstream media (movies, tv, magazines, newspapers), and pharmaceutical companies are owned by this same small group of elitists who are tied in with world governments and central banks. 7. The truth of almost everything has been hidden from the 99% by the 1% but people are slowly and finally waking up to the truth. 3. There exists hundreds of thousands of higher dimensional beings in craft around our planet who wish to see us living as a higher dimensional society. These higher dimensional beings from many different star nations want to share their higher dimensional technology with us so that we may evolve as a civilization. 4. Many of the higher consciousness community on earth are “starseeds” who have spent lifetimes with these various higher dimensional star nations and have come to earth in this lifetime to assist with the shift to a higher dimensional society. 5. There exists higher dimensional beings, the Lemurians of Agartha, who live inside our planet in a 5th dimensional atmosphere and who wish to assist the surface population in becoming a higher dimensional society. These beings lived in the Golden Age of Atlantis and Lemuria in higher dimensional societies upon the earth before these societies were driven to destruction by the misuse of power. 6. The new human is arising with a new chakra system, a transformation of form from carbon-based to crystalline, re-awakened DNA, and as we continue to raise our frequency we will continue to evolve our higher dimensional abilities of telepathy teleportation instant manifestation and more. 7. Each person connecting with and merging/ integrating with their higher self creates their multidimensional being and is the basis of the creation of a higher dimensional society. 8. Planets are the bodies of sentient beings just as we as humans are sentient beings with bodies. Our planet earth is the body for the sentient being named Gaia. Destroying any part of the planet destroys her body. Trees and plants are her hair. Water nourishes her body just as it does ours. Oil is her blood. Removing oil from the earth is equal to extracting blood from her body. It weakens her and drains her. It is her lifeblood. 9. All of the universe is watching our planet to see what will occur with our ascension process as a species and as a planet. We are the lynchpin in a series of universal upgrades that will occur throughout this universe. What happens here matters not just on our planet but everywhere. 10. Twenty years from now we will be living in a fully higher dimensional society on earth with no borders between countries and All cooperating and existing in harmony for the good of all. The global elite, “cabal”, “illuminati”, “dark ones”, will no longer be on this planet; they will either have raised their frequency and converted to the light, died off, or gone to a different planet/universe still existing in the third dimension. War, poverty, sickness will be things of the past, hard lessons learned in what to avoid. 11. Unlimited abundance, plentiful food and shelter for all, and free energy form the structural basis of this new earthen society. 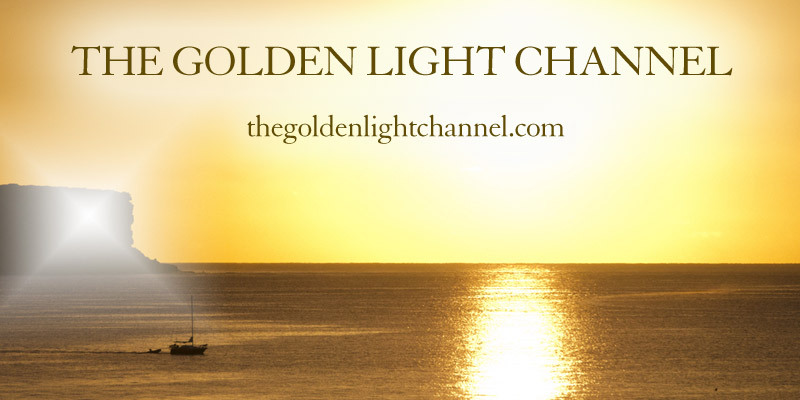 The golden rule, doing no harm to others, caring for the well-being of the Whole, the responsible use of higher dimensional abilities such as telepathy, and universal harmony joy and love are the principles shared in this New Earth society. 12. This highly evolved society, which is also an intergalactic society with fully open and harmonious intergalactic relations with benevolent star nations, is maintained by earth Councils. The word “government” is no longer used as people decide to use a more evolved form of societal structure and existence. 13. Earth will re-enter as a full member of the Intergalactic Councils as it comes out of quarantine and enters what is considered to be maturity and adulthood as a planet and civilization, cooperating as one united whole, instead of as divided and warring factions. The civilization becomes creative rather than destructive, cooperative instead of divided. The mark of maturity is that humans begin to live in harmony with, and with love for, each other and their planet instead of destroying it and each other.